A Pen Named Brock: Here it is! The cover for MACHINE HEAD! Here it is! The cover for MACHINE HEAD! I love cover reveals. I mean you guys know that because they make up the majority of content here on the blog. But I especially love when I get to share my covers for the first time! I've been sitting on this little beauty for a month and it's been killing me softly. 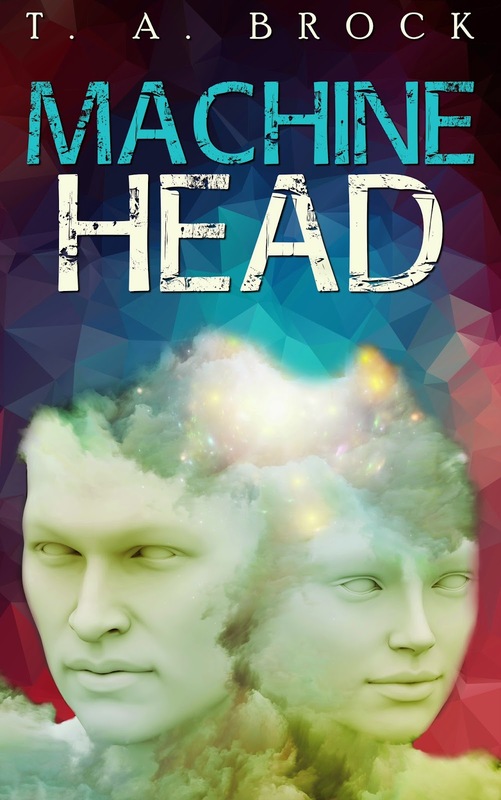 MACHINE HEAD is what I'm calling an 'interactive novel'. It's a fancy phrase for a choose-your-own-adventure book. But the reason I didn't go with that is because Machine Head isn't quite like the ones we read as kids. In those, the reader usually plays the part of the main character as they read, choosing how that character reacts. In my story, the reader is outside the story, looking on, learning about the characters and world, but also running the show and deciding the outcome. Make sense? It's complicated, I know, but really fun too. Where young rule and elders are hunted to extinction... and you decide who's guilty. For updates on new releases and other fun little bits, sign up for my Newsletter HERE.